Everybody treats Las Vegas like all it has to offer is the party scene. Sure, nightclubs and dayclubs are littered up and down the Las Vegas Strip as if there was a feared shortage of party space; but this city of sin has far more to offer than just partying, drinking, and the regrettable hangover the day after. There is plenty of adventure to be had in Las Vegas; adventure that doesn’t require you to chase an unmarked pill with a shot of vodka. No, we’re talking real “get your hands dirty” adventure, and it’s right in Sin City’s own backyard. Surely, by Friday you’re tired of driving around town in your own beat-up car. You deal with its gas-guzzling and flimsy air conditioning every week as you drag yourself to and from work in some mind numbing routine. You don’t want to be seen in the same old vehicle when you decide that you want to just cruise Las Vegas’ Strip and take in the fresh desert air. For people like you, who have the desire to drive free behind the wheel of a car you would just love to call your own, VegasVIP offers luxury car rentals. From the basic Ford Mustang to a much more luxurious Ferrari F430 Spider, VegasVIP is your ticket to truly cruising Las Vegas in style. Of course, it would be fun to experience the Strip from the leather seating of a luxury vehicle, you have to look at the bigger picture. Las Vegas offers more than bright lights and flashy signs. Beyond the Strip is an expanse of desert just looking to be conquered. Grab a friend, or a lucky lady, and take to the open road in your luxury ride. Experience nature as the desert breeze blows through your hair and you find out what it’s really like to ride in style. Maybe the comfort of a luxury ride isn’t your kind of thing. Maybe you’re looking to get a little more up close and personal with nature, maybe pet a rattle snake or two. 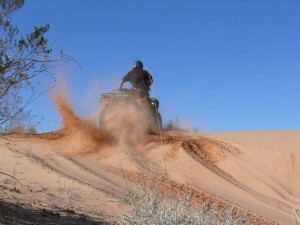 VegasVIP has you covered there, too, with an adventure package that has you four wheeling it over the sandy dunes of the greater Las Vegas Valley. Explore the great expanse of desert in a group setting as your guided ATV / 4WD tour lets you get in touch with your inner adventurer. Cruise to a varied set of locations depending on what you want to see. Head south of the Las Vegas Strip and check out the Hoover Dam from the best viewpoint you could ever have. Check out what Death Valley has to offer on a day-long excursion through the sand. Take an ATV tour through the Valley of Fire and let adrenaline fuel your day. With these locations – and many more – at your disposal, there’s no reason why you wouldn’t engage in an adrenaline filled adventure. If cruising on the ground doesn’t do it for you, then maybe you’d like to look to something a bit more airborne. You probably have seen them soaring overhead at some point and have said to yourself “Man, I’d love to fly in one of those”; but you’ve yet to take the plunge. Well, here’s your chance. With VegasVIP’s premier services, you can fly over Las Vegas’ bright lights in a once-in-a-lifetime helicopter tour. Get a glimpse of Sin City at night or explore the outer regions of Nevada in an exhilarating helicopter ride that will give you the thrill’s you’re looking for through an experience you’d never expect. Get unrivaled views of the Las Vegas Strip, the Grand Canyon, Death Valley, or the Hoover Dam as you tour Nevada in the best way you can. Nevada may not have an abundance of water, but that doesn’t mean you can’t enjoy what other locations have to offer. 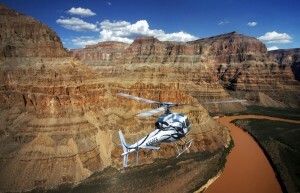 Start your tour of the great Colorado River with a helicopter ride from Las Vegas to the Grand Canyon. Here, you will take a fun little cruise down the Colorado in the comfort of a river boat. Explore the sites of the surrounding mountainous terrain as your gentle cruise takes you and your party on a ride straight into the heart of nature. Don’t want to separate yourself from civilization that much? Then you may want to look into a riverboat cruise of Lake Mead, where you can wine and dine the night away aboard a large vessel. Enjoy something a little more intimate via a tour that brings you as close as possible to the towering Hoover Dam. So, as you can see, Las Vegas and the surrounding areas have plenty to offer beyond just partying, drinking, and hangovers. There is a whole world out there to explore, and it all starts with a simple phone call to VegasVIP.